Last Thursday saw London’s Glitterati descend on Berkeley Square to celebrate the 50th Anniversary of legendary member’s club, Raffles. Set against the glamorous backdrop of Mayfair, the event took place in the tent used for the Lapada fair and saw just under 2000 movers and shakers on the social scene in attendance. 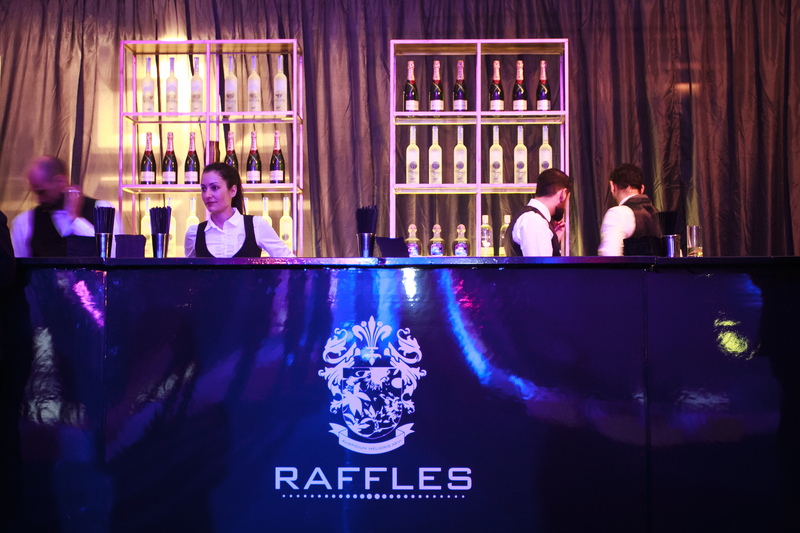 Never known to hold back when it comes to throwing a big party, Raffles pulled out all the stops and guests were treated to free-flowing Moet champagne and a headlining set from renowned Ibiza DJ Guy Gerber. Other acts on the evening included a set by Housekeeping, jewel and feather-clad girls dancing in martini glasses and an acrobatic performance. Sponsors Vertu and Bugatti were amongst those that also exhibited the latest launches to the well-heeled crowd. Later in the evening, the antics continued into the early hours at the after party which resided back to the King’s Road haunt of Raffles….